Through its consultation services and mining efforts at two different quarries, BoDean Company is able to supply its customers with a range of products to fit any construction need. Depending on the project at hand, the type of aggregate or mineral material needed will vary. 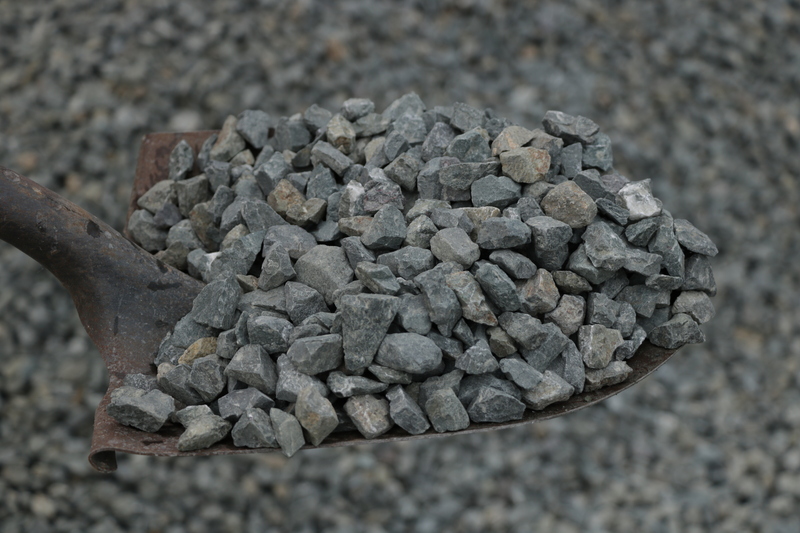 Drain rock, one type of aggregate material mined and processed by BoDean Company, is a more decorative aggregate than some of its counterparts due to its angular shape. Drain rock is a natural material that can be used in a wide variety of applications or projects. This product is well suited in drain fields, pipe bedding, French drains, concrete production, under slab, flower beds and construction zone entrances. Drain rock is often used as a water barrier to fill in mud holes or to create a surface over standing water where vehicles may need to pass through. Drain rock comes in ¾, 1-½, and 2-3″ oversize as well as Class I, Class II and Class III permeable types. The size and usage of the drain rock determine its classification. BoDean Company’s process for aggregate production is the same no matter what type of aggregate material you are looking to purchase. After drilling and blasting the mountainside, the company crushes and screens the rock. This is where particular types of aggregate can be sorted for usage. Drain rock is angular in shape and typically varies in size, from 3” to ¼”. With two different quarries to mine from, the BoDean Company has the unique ability to offer its customers a number of color variations in drain rock. Drain rock oftentimes is seen as a more decorative aggregate than some other types of rock, simply because of its shape. It’s crushed and screened and it takes on an angular shape. Its shape makes it attractive for some landscaping projects, and depending on its size, it can be useful for stabilization and water redirection. Drain Fields – Drain fields, also commonly referred to as leach fields, are subsurface wastewater disposal facilities used to remove contaminants and impurities from the liquid that emerges after anaerobic digestion most typically in a septic tank. The use of drain rock assists to achieve proper septic percolation. Pipe Bedding – Pipe bedding is the material placed in the bottom of the trench on which the pipe is laid. French Drains – A French drain is a trench filled with gravel or rock or containing a perforated pipe that redirects surface water and groundwater away from an area. Under Concrete – drain rock can be used under concrete as an economical option to reduce the quantity of concrete used while still providing adequate stabilization. Construction Zone Entrances – Drain rock is often used in construction zones to create a loose dry surface for workers to drive on. The stabilization helps prevent tires from slipping or getting stuck. Driveways – Drain rock can also be used to spread over the top of driveways to create a dry surface to drive on. BoDean Company is always striving to find ways to reduce its carbon footprint and to create a cleaner, greener tomorrow. It is a goal of the company to be a good steward of its natural resources and it has the ability to offer both virgin and recycled materials. BoDean Company is also compliant with all local, state and governmental standards and specifications. While drain rock can serve many purposes, it is important to be sure you are choosing the correct aggregate material for your specific project. The team at BoDean Company has the expertise and experience to ensure you are choosing the correct product for your project and looks forward to consulting on your materials. Specific project needs can be met through an informative phone consultation. Call today at (707) 576-8205 to speak with a BoDean Company specialist or click here to request a free online quote.